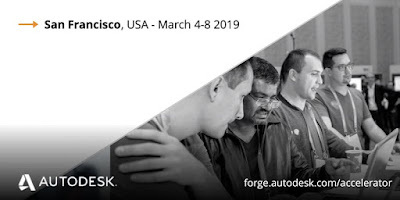 Autodesk Forge Accelerator is an opportunity to work intensively on a chosen project with help, support and training from Autodesk Cloud Engineering teams. 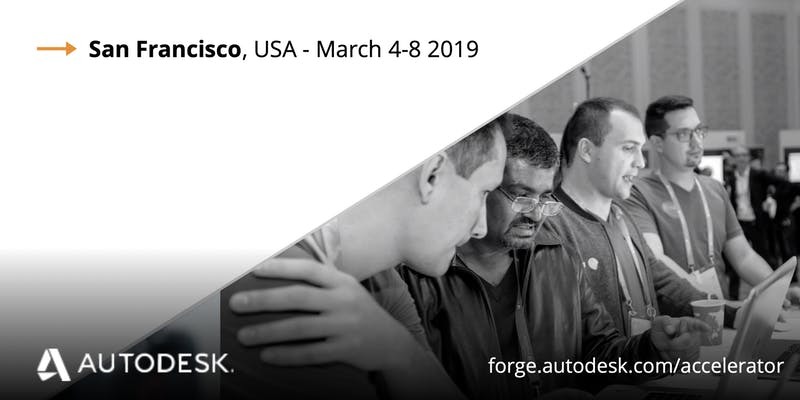 Applications are being accepted for the currently scheduled 2019 Forge Accelerator in San Francisco on March 2019. Space is limited. Simply click 'Register' button above, fill in the fields and we will contact you if you are accepted. Your proposal – explain in 2000 words or less, why you should be a participant. You can also include a link to an image (jpg, png, pdf) to support your proposal. Describe what you are going to code and prototype during the Accelerator. Will you present a 'demo' on the presentation day (last day) ? You'll need to bring your own laptop. We provide wifi, power and, presentation equipment if you want to present your work on the 'demo' day (last day). Yes. You can update the attendees at any time.